"Preclinical evaluation of mesothelin-specific T cell receptor (TCR) fusion constructs (TRuC™s) utilizing the signaling power of the complete TCR complex: A new opportunity for solid tumor therapy." "Characterization of a novel class of engineered (TCR) fusion constructs (TRuC™s) aimed to treat solid tumors." "Novel T Cell Receptor Fusion Constructs TRuC (TM) Polypeptides Utilizing the Signaling Power of the Complete TCR Complex for Solid Tumor Therapy." "Characterization of Mesothelin-Specific T Cell Receptor Fusion Construct (TRuC (TM)) Expressing T Cells for the Treatment of Solid Tumors." Guy, Clifford S., et al. "Distinct TCR signaling pathways drive proliferation and cytokine production in T cells." Nature Immunology 14.3 (2013): 262. Kuhns, Michael S., and Mark M. Davis. "TCR signaling emerges from the sum of many parts." Frontiers in Immunology 3 (2012): 159. Minguet, Susana, et al. "Full activation of the T cell receptor requires both clustering and conformational changes at CD3." Immunity 26.1 (2007): 43-54. Garrido, Federico, et al. "The urgent need to recover MHC class I in cancers for effective immunotherapy." Current Opinion in Immunology 39 (2016): 44-51. Hicklin, Daniel J., Francesco M. Marincola, and Soldano Ferrone. "HLA class I antigen downregulation in human cancers: T-cell immunotherapy revives an old story." Molecular Medicine Today 5.4 (1999): 178-186. Leone, Patrizia, et al. "MHC class I antigen processing and presenting machinery: organization, function, and defects in tumor cells." Journal of the National Cancer Institute 105.16 (2013): 1172-1187. Bonifant, Challice L., et al. "Toxicity and management in CAR T-cell therapy." Molecular Therapy-Oncolytics 3 (2016). Lu, Yong-Chen, et al. "Treatment of patients with metastatic cancer using a major histocompatibility complex class II–restricted T-cell receptor targeting the cancer germline antigen MAGE-A3." Journal of Clinical Oncology 35.29 (2017): 3322-3329. Park, Jae H., et al. "Long-term follow-up of CD19 CAR therapy in acute lymphoblastic leukemia." New England Journal of Medicine 378.5 (2018): 449-459. Buck, Michael D., et al. "Mitochondrial dynamics controls T cell fate through metabolic programming." Cell 166.1 (2016): 63-76. Rivadeneira, Dayana B., and Greg M. Delgoffe. "Antitumor T-cell Reconditioning: Improving Metabolic Fitness for Optimal Cancer Immunotherapy." Clinical Cancer Research (2018). Kachala, Stefan S., et al. "Mesothelin overexpression is a marker of tumor aggressiveness and is associated with reduced recurrence-free and overall survival in early-stage lung adenocarcinoma." Clinical cancer research 20.4 (2014): 1020-1028. Cristaudo, Alfonso, et al. "Clinical significance of serum mesothelin in patients with mesothelioma and lung cancer." Clinical Cancer Research 13.17 (2007): 5076-5081.  This page contains links to sites at which articles written by persons not affiliated with TCR² are available for purchase. The third-party articles referenced in this Publications section are identified for background purposes only, and TCR² does not purport that they represent a complete survey of the relevant science. The views expressed in the articles are those of their respective authors and do not reflect the views of TCR². TCR² has not independently verified any of the information contained in the third-party articles and disavows any obligation to update or correct the information contained in these articles.